Inclusv works to ensure staff, consultants, and vendors of color are found at every professional level within advocacy, policy, and campaigns and elections. It was founded by Quentin James, who was part of that first class of 2008 Obama campaign staffers, and who most recently worked as the outreach director for African-American and environmental affairs for the Ready 4 Hillary political action committee. Before that, he served as national director of Sierra Club’s Student Coalition where he led campaigns to oppose construction of the Keystone XL pipeline and to push colleges to switch from fossil fuels to renewable energy sources. So it follows that James is interested not only in getting people of color onto Clinton’s staff, but also people who are invested in realizing her campaign’s priorities around climate change and clean energy. “What Inclusv can help out with is the supply of talented people of color, and vendors who have transferable skills from working on political campaigns to working on environmental campaigns,” James said. James is joined in this Inclusv venture by Alida Garcia, who worked on Obama’s 2012 reelection campaign, helping ramp up Latino voter engagement strategies. Part of that has meant helping campaigns understand that Latino voters are just as concerned about climate change as Americans in general, if not more. Founding members also include Steve Phillips, a political donor known for leading a number of political action committee initiatives aimed at electing candidates of color, and Gregory Cendana, who co-chairs the D.C. Asian American and Pacific Islander Democratic Caucus and was a delegate at the 2012 Democratic National Convention. The idea is for these four to leverage the relationships and partnerships they’ve formed throughout their enterprising careers to help emerging leaders of color recreate the same kind of multi-racial political energy felt during the Obama years. 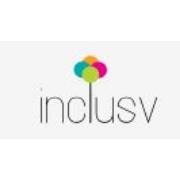 The Inclusv website is their vessel for cultivating this change. Prospective campaign staffers can upload their resumes to the site, and they’ve already fielded over 600 since going live in late-March, they say. Minority business owners and independent contractors can also submit their contact information to a database at the site so they can be considered as vendors or consultants for campaigns. While the group’s focus is the 2016 presidential election, with Clinton’s campaign in mind, the information gathered can also be plucked by non-presidential campaigns and political organizations looking to diversity their staffs. The Clinton campaign has already met with Inclusv members, as Darren Sands reported at Buzzfeed. In the 2010 mid-term elections, when Democrats got pummeled at the polls and the Tea Party nation premiered, pundits blamed low turnout, particularly among voters of color in certain places. There was hardly better turnout in 2014. This is historically true of most mid-term elections. But the hope in 2010 and 2014 was that Democrats could capitalize off of the electoral enthusiasm the Obama campaigns captured, especially among African-American and Latino voters. When that didn’t happen, some political scientists blamed voter apathy or disillusionment. However, some Democrats simply failed to build the Obama-brand of multicultural infrastructure for the midterms, meaning they didn’t aggressively hire people of color for the campaigns or contract with minority entrepreneurs. One example is the Democratic candidate Alex Sink, who ran for Florida governor in 2010, and then ran for a U.S. House seat during a special election in 2014. She was favored to win both races, but didn’t prevail in either. In both cases, she was criticized for failing to do the kind of outreach and recruitment to communities of color that many political experts agree are needed to mobilize those populations to the polls. Clinton can’t afford to make the same mistake if she hopes to win. Inclusv wants to ensure that quality employees aren’t overlooked by Clinton and her party. And for young prospects who lack experience but show potential, the group is working on ways to provide professional development training for aspiring job candidates, to get them up to snuff. They also will track those who land campaign jobs and contracts to help them find employment when the campaign ends. Basically, this will be about changing a culture where people are hired through good ol’ boy networks to one where people of all backgrounds are truly linked in. Inclusv recognizes that it is only as strong as its members. We spend the bulk of our time serving current and prospective employees with access to information about job opportunities, professional development training, and mentorship. Our membership is free, all it requires is an upload of your resume, which you can do here. Inclusv aims to be a leading advocate for people of color working in politics and advocacy. We engage in public advocacy efforts to elevate dialogue around diversity and inclusion within the progressive movement. To read about our advocacy efforts visit our News & Updates page. Inclusv Advisory Board, as of May 12, 2018; Nathaly Arriola,	Luis Avila,	Diana Banks, Carmen Berkley,	Marvin Bing,	Assembly Member Michael Blake, Jessica Byrd, Gloria Caoile,	Anathea Chino, Addisu Demissie,	Gabriela Domenzain,	Maria Echaveste, Lucy Flores,	Nadia Garnett,	Vanessa Gonzales-Plumhoff, Arshad Hasan,	Arisha Hatch,	Malik Hubbard, Greg Jackson	Stefanie Brown James,	Sam Jammal, Dallas Jones,	Latoia Jones,	Krystal Ka’ai Representative Kevin Killer,	Heather Laverty,	Irene Lin, Nicholas Lepham,	Nirmal Mankani,	Eddy Morales, Jessica Morales Rocketto,	Carlos Odio,	Lou Pieh, Ashley Pinedo,	Lorella Praeli,	Oscar Ramirez, Elianne Ramos,	Etoy Ridgnal,	Emmy Ruiz, Angela Rye,	Linda Sarsour,	Sujata Tejwani, Lena Tom,, Sara El Amine, Khalil Thompson, Mini Timmaraju, Martin Diego Garcia, Catalina Velaszquez, Nelson Devezin, Gabby Seay, Ashindi Maxton. This page was last modified on 8 July 2018, at 18:11.